Breathing in Grace: Owls take the cake!!! A sweet young lady I used to go to church with likes pigs....yes, pigs!!! She recently posted on Pinterest a cute pig couple wedding cake topper. 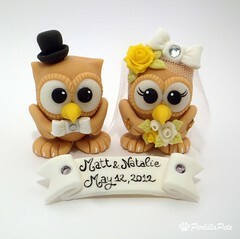 And....it made me think....wonder if there are owl wedding cake toppers?!?! You know....just in case Pappy and I ever decide to renew our wedding vows!!! So....without further adieu....here's just a small sample of what I found!!! I adore these....they were on e-bay for a mere $189, plus $16.70 shipping!!! 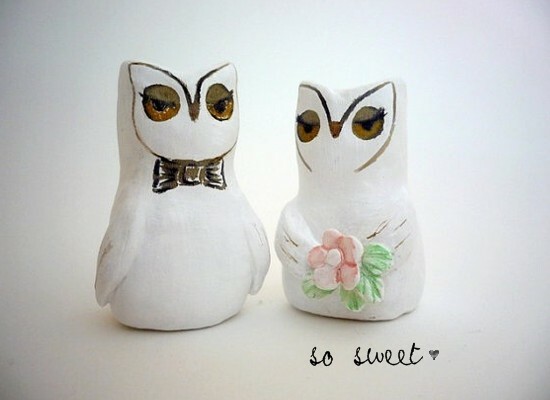 Oh my goodness, those owls are so sweet, especially the last pair. My daughter just passed the qualifying exams for her Ph.D., and we were so pleased. Loved this owl post.